Dr. Victoria Sweet has an unlikely prescription for the modern American health care system: we need to increase inefficiency. Dr. Sweet is a medical history scholar and practicing physician who has spent much of her career investigating premodern philosophies of healing. She believes that these largely forgotten traditions may hold significant insights for modern medical practitioners. Premodern medicine was based largely on returning body and spirit to balance through healthful food, quiet rest, exercise, herbal remedies, and the tender attention of a caregiver. This philosophy of medicine viewed the body as a garden to be tended, allowing the forces of nature and healing to do their slow, steady work. But in the late 19th century, these traditions were abruptly replaced by "modern medicine," thanks in large part to a new understanding of bacteria and the development of antibiotics. Modern medicine saw life as a series of mechanized processes and reactions that could be understood by science, and illness as a failure in the body's machine. Our modern "fast medicine," as Sweet calls it, has made exceptional advances in surgery, cancer treatment, and emergency intervention, but perhaps at the expense of "slow medicine," the need to create simple, nurturing conditions in which to let the body heal. As premodern medicine gave way to the modern medicine of Florence Nightingale, and then to the present complex and divisive era of healthcare reform, many of the essential components of healing have been gradually trimmed away by experts intent on making hospitals more efficient and cost-effective. As a result, Sweet says, expensive tests and unneeded medications often take the place of quality time spent with doctors and nurses, often with less than ideal results. 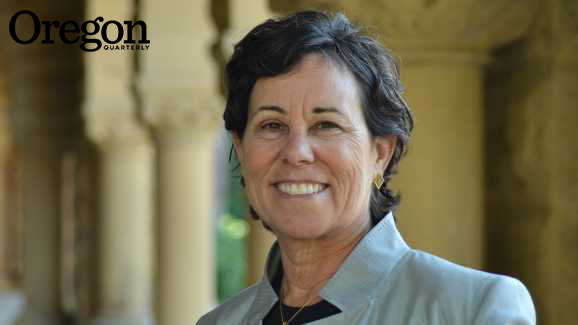 Dr. Sweet will offer the story of her journey toward embracing slow medicine as a calling on March 6, as the lecturer for the Oregon Humanities Center's 2014 Tzedek Professorship in the Humanities. Her compassionate prescription for the future of health care takes to heart the old medical adage— "the secret in the care of the patient is in caring for the patient"—even when this is inefficient.